Featuring 3 ultra bright LED's, this flashlight has a built-in rechargeable battery. Includes hand crank and solar panel chargers. 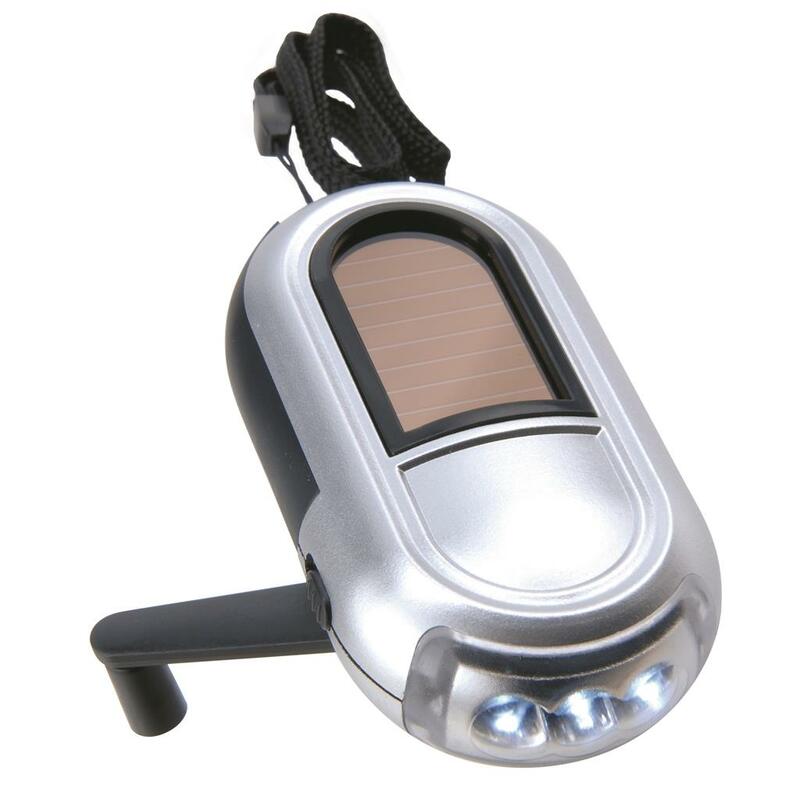 Simply crank the handle or place in the sun to charge. Disaster Usage: earthquakes, hurricanes, tornados, floods, snow storms, fire and acts of terrorism.